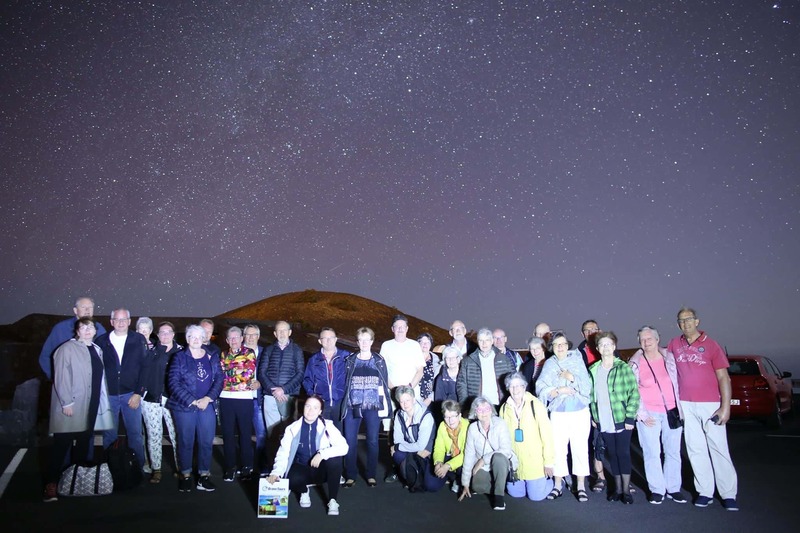 This activity combines tapas with astronomy in the incomparable setting of the San Antonio Volcano and its visitor center. We will offer you tapas and a glass of red and/or white wine for tasting the local gastronomy. 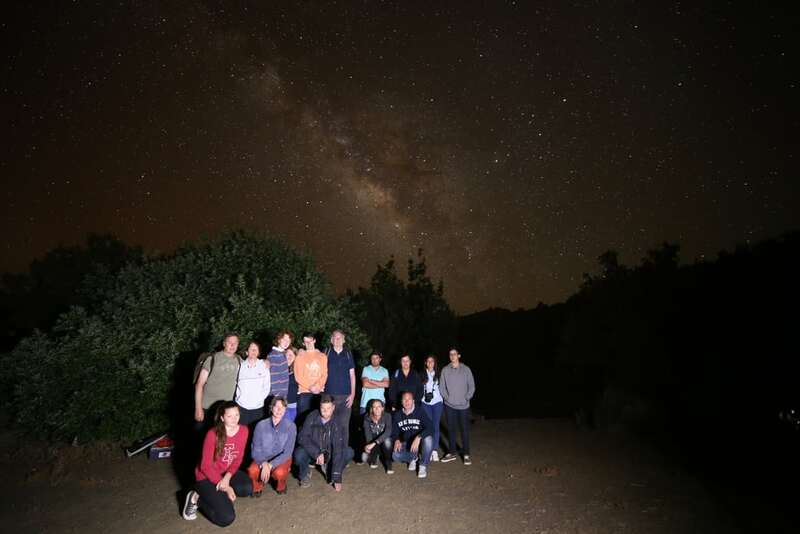 In addition we offer an introduction to the astronomy and the sky of La Palma taking advantage that La Palma is one of the best places in the world for astronomy. The activity is guided and includes the orientation of the sky through constellations and explanations with specialized guides. Weather permitting, a small observation of the sky with amateur telescopes is offered. The visitor center has an astronomical viewpoint and has all the elements to make it an unique experience. This activity is adapted for all audiences and no previous knowledge is required. It is especially interesting on full moon and/or for children. ¡Book now and enjoy our tapas and stars! 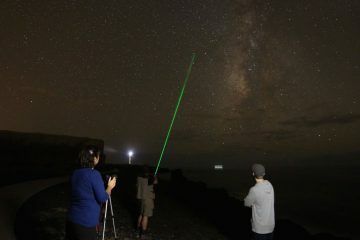 The duration of the tour 2.5 h.
Guided observation of the sky and interpretation with a laser (weather permitting only). In case of bad weather, presentation of the sky indoor. Extra: 10 € per person (this service is optional). Only from Princess hotel. Important note: Departure: 30 mins before the start of activity that appears on your ticket. This activity may be exclusive for a group. Minimum group 20 people. Transfers from the Princess hotel to the Visitor’s Center: A minimum of 6 people is required (Reservation essential and confirmation of previous places required). In case of booking with transfer and there are no places we will notify you before the date of your activity. Alternative meeting points, consult. Activity subject to weather conditions. There may be changes of date and time for this reason, in that case we will communicate it to the mobile phone contact provided in your reservation (sms message). We are not liable in case we can not contact you due to faults in your telephone service provider or that your mobile phone is switched off or out of coverage. Sometimes there may be sudden changes in meteorology just before or after the start of the activity (sunset), once it has begun (cloud appearance), and even direct observation of the sky may not be possible. In this case the activity will not be canceled but will be adapted by adding a presentation in the visitor center of the San Antonio Volcano. Cancellations: The activity can be canceled due to weather conditions up to 2 hours before the start of the activity in which case, you have the option of being refunded the full amount of your ticket, change the date or change to another activity (paying price difference). Also you can cancel with a cost of 20% of the ticket for management fees up to 24 hours before the activity. With less than 24h, cancellations by the client will not be refundable. Cancellations by the client must be sent in writing to info@lapalmastars.com. We strongly advise customers to wear winter clothes even in summer and even if at sea level is hot. Please note that our office is closed in the evenings/evenings. We are not responsible if you do not get the notices for lack of mobile connection or if you have your mobile phone turned off. The activity do NOT take place at the Observatory at any time as it is close to the public at night. However, the Observatory in El Roque de Los Muchachos is open for visits during the day (reservations orm.astrocamp.es & Observatory´s website at iac.es).